Kayaking in winter – no it’s not as cold as you think! In fact, winter kayaking has a number of advantages over kayaking in summer, and gives you the opportunity to experience sights and sounds not readily available at other times of the year. Follow these tips to get the most out of your winter kayaking experience. If you’re a beginner, refining your technique is more comfortable in the cooler weather and you won’t have too big an audience! You need less hydration in winter so you can go further with less fuel. Kayaking in winter doesn’t mean putting up with bitterly cold wind or rain. A clear, calm day is best for kayaking in winter just as it is in summer. 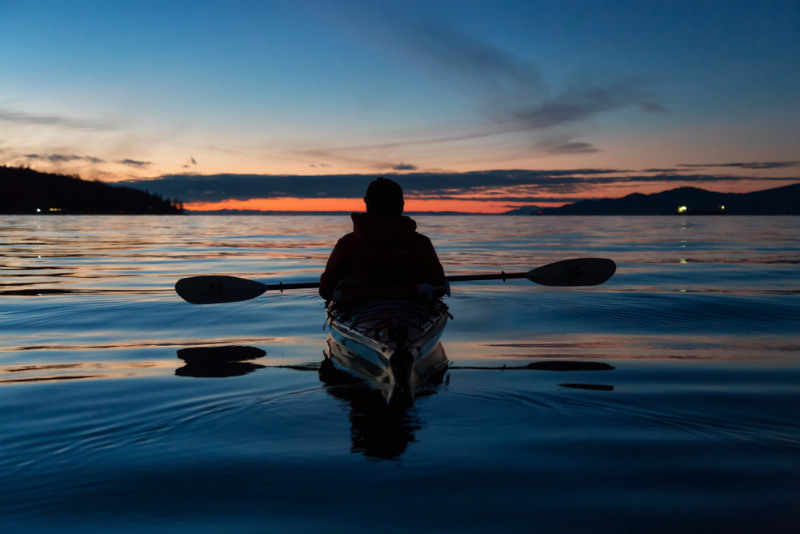 So, once you’ve checked the weather and got your kayak hire sorted or booked on a kayak guided tour, follow these tips for a comfortable kayaking adventure. Wear layers. Start with a t-shirt and add from there. You can take layers off or put them on as your body temperature changes. Bring a warm jacket for before and after your kayak tour. Don’t forget your hands! Bring gloves – you can always take them off if you get too warm but paddling with numb hands is not fun. A spare pair of clothes will come in handy in the event of an unexpected water encounter! Ready to go kayaking? Book kayak hire or a kayak tour in Jervis Bay now. Got a question? Contact us with any queries. Our friendly team is more than happy to help.